Do you feel like escaping with me today to a sweet spot in a song? Yes sometimes a few short lines in one song have the power to transport and soothe. Of course, the relaxant effect of a song is compounded when the lyrics are being masterfully delivered in a mellifluous melody by a vocalist who understands that of the many elements that comprise a song, it is a vocalist’s honest connect with the thought, meaning and emotion of that song that will indeed capture and move an audience. I believe G.O understands this concept to his core, and why his short interlude between the sharp rap attack in Taw and HaHa’s 내 품이 좋다던사람 [The Person By My Side] reminds us that underneath the hurt and pain of a break up, the heart has a resilience that always seems to be able to weather the storms of love. The person I long for even more during this time. Yes, I still did not forget you. When Taw and HaHa released their collaborative album Acoustic Tuning Time in March 2012, they recorded 내 품이 좋다던사람 featuring vocalist Ha Dong Kyun. 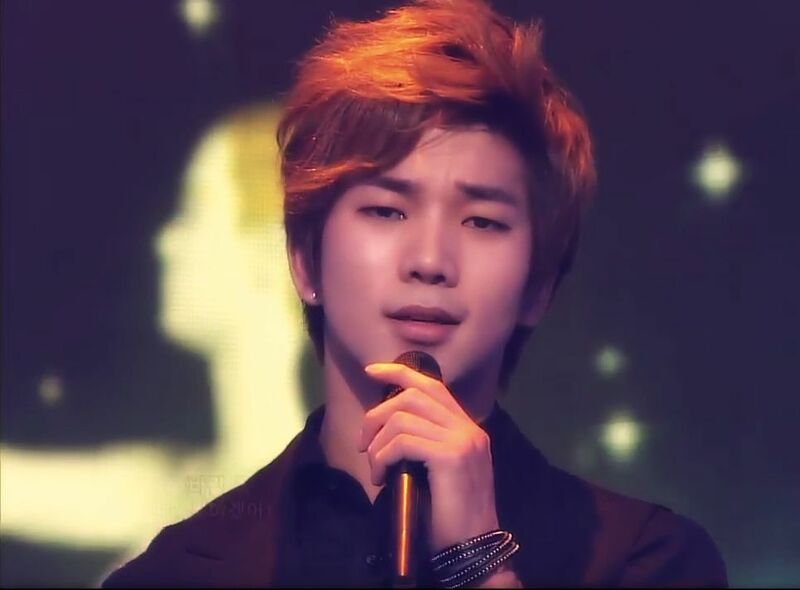 I am not sure why he did not join Taw and HaHa during their comeback activities in March 2012, but lucky for A+ they invited G.O to their stage for a couple of performances where he saturated both the song and audience with the nectar of his voice. Projecting angel wings behind G.O was very apropos for he looked and sounded celestial. 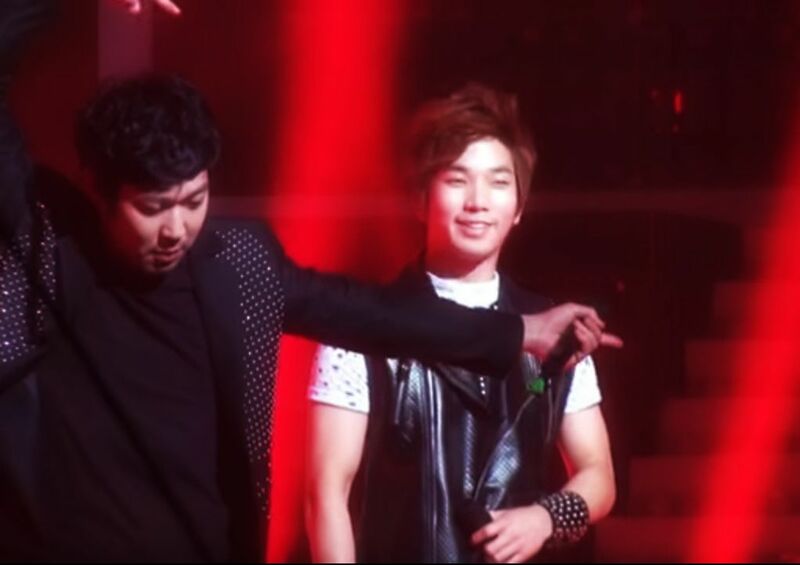 I am big fan of G.O partnering with rappers. His innate ability to counter rap with a softness that does not diminish the edge and power of the rap but buffers it and smooths it out a bit is consistent and noteworthy. What I like about his interludes in between the raps delivered in 내 품이 좋다던사람 is that Taw and HaHa are aggressively rapping about being slain by love as in a really harsh break up. 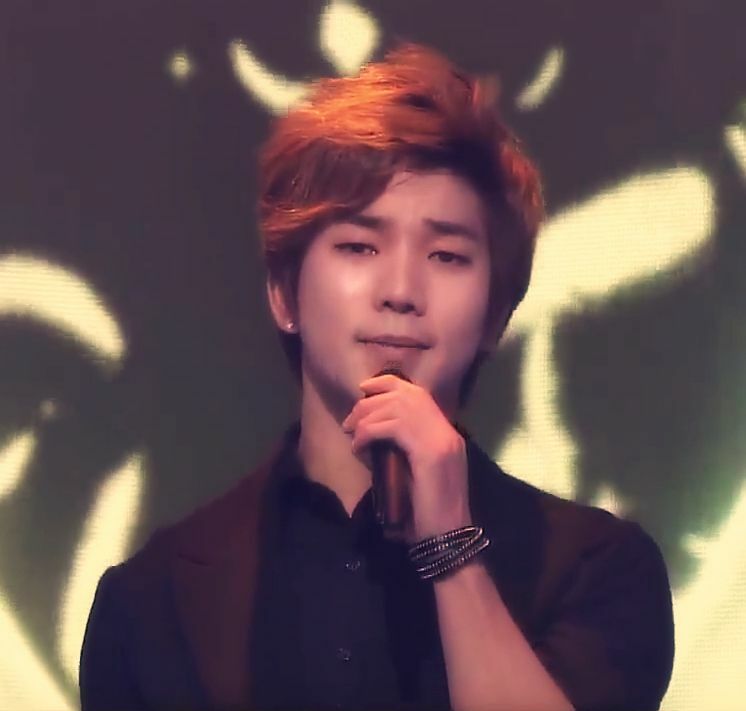 But then, G.O introduces the soft sweet sounds of his gorgeous voice, tempering the anger of the rap by essentially revealing that under the layers of hurt and betrayal, our hero in the song is still full of longing, and still very vulnerable to the power of love. 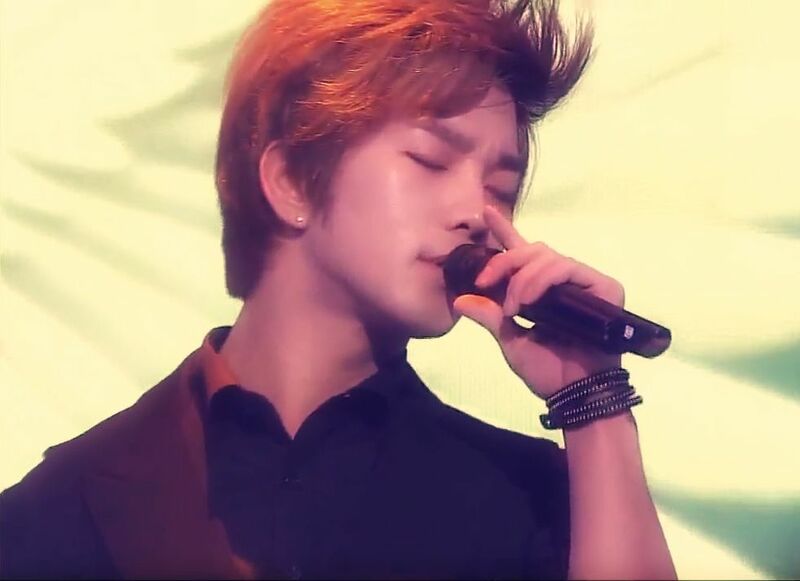 It is a beautiful experience watching G.O perform as he consistently expresses the story in the lyrics not only with his voice, but with his tender and romantic eyes. Seriously, it is enough to unravel my heart, but in the best way imaginable. Ok, before I get too lost in this sweet spot, I will end here with some fancam from the March 25th Inkigayo show. Maybe this was rehearsal prior to the actual filming of the performance or a little relaxed encore? Not sure. Still, with HaHa’s distracting antics, G.O delivers with vocal perfection. 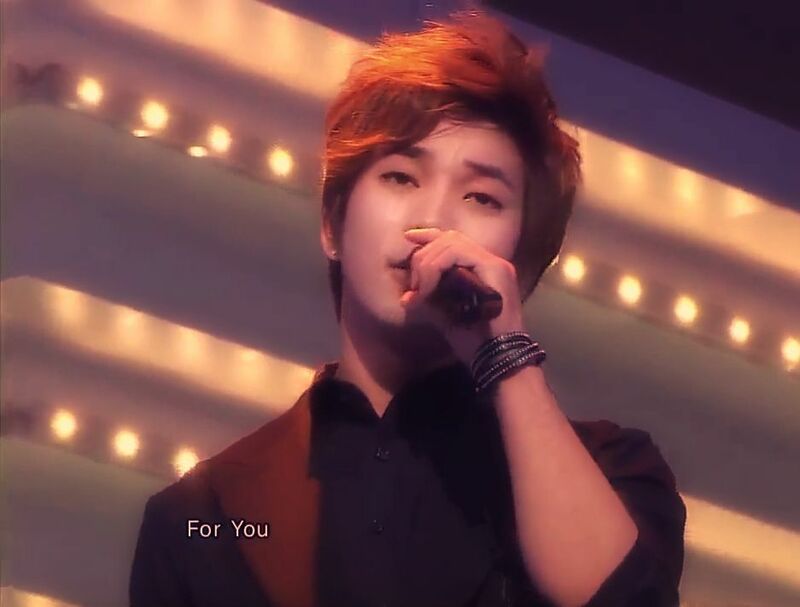 Categories: G.O Military Discharge, MBLAQ Musings, The G.O Files | Tags: G.O, G.O images, G.O on Television, G.O's Military Service, Ha Dong Kyun, Jung Byung Hee, Jung Byung Hee images, Korean entertainment, Korean Music Programs, MBLAQ G.O, MBLAQ G.O images, MBLAQ G.O on Television, SBS Inkigayo, SBS The Show, Taw & HaHa | Permalink.